Have you found the perfect property for you, yet it is a little bit on the expensive side? Don’t be so quick to give up without a fight. Often, there is room to haggle in the housing market. However, if you are going to try and talk down the asking price of a property, you need to be prepared, and you need to approach it in the correct manner. If you offend the seller, you can kiss goodbye to your dream home. Make sure you invest in a property survey – This is something that you should do in any case. A property survey is essential because it gives you a true reflection regarding the state of the house and the amount of money you are going to need to spend on repairs if you purchase it. If you have had a survey carried out and the results aren’t so great, you can use this as a negotiation point. Don’t panic if there are more buyers – You may feel that it is pointless trying to haggle on the price because there are other buyers involved. Often, the seller will say this to encourage you to meet the asking price. Don’t let it put you off. Get advice from your agent – It is important to speak to the estate agent you have hired. Remember, they want to make the sale. If they believe there is room for negotiation, they will tell you, and they will advise you on the type of offer to put in. Ask for freebies if you cannot get money off – If the seller is not willing to reduce the price, try to agree to get lighting fittings or carpets included as a compromise. Choose slow times of the year to conduct your property search – When looking for homes for sale, it will help your cause if you look to buy a property at slow times of the year, for example, Christmas or the school holidays. This can be especially effective when looking to buy a new build. Make your offer more appealing – A seller is going to be much more likely to reduce the asking price if you have a mortgage in place, you are a cash buyer, or you are chain-free. Don’t insult with your offer – While you want to get a good deal, it is important to be realistic. You will never move up the property ladder if you put cheeky offers in place; you will only irritate the seller. Instead, you need to stay within 10-20 percent of the asking price. Don’t state that you are in a rush to buy – Even if this is true, you should not say it. 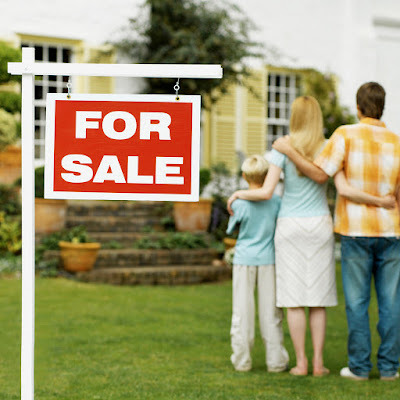 It weakens your position, as the seller knows that if they hold out, you may be forced to pay the asking price. Do your research – No one is going to lower the price of their house simply because you ask them to. You need to conduct extensive research about property prices in the area so that you have the hard evidence to back up the discount request you have put in.